You still have time to catch that trophy Tampa Tarpon you have been wanting. Fishing Tampa Bay for tarpon has been on fire. Tampa Bay’s area bridges and beaches are holding fish. The bait of choice has been live crabs but live scaled sardines, threadfins or pinfish will do the trick. Look to get out on the beaches early before the boat traffic picks up. Around the new and full moon tides, fishing the afternoon tides has been very productive. We are also seeing a lot of fish around the Skyway bridges. Fishing the bridges structure can be very challenging. Heavy tackle is essential. 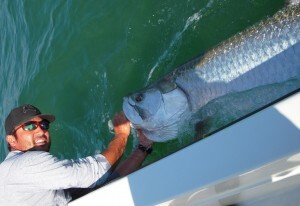 You still have time to book your Tampa Bay tarpon fishing charter.